PINEY TWP., Pa. (EYT) – A Sligo couple are facing charges stemming from a violent domestic altercation on Tuesday. 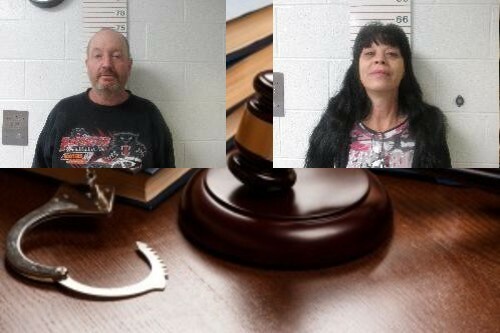 According to a criminal complaint, on Tuesday, October 16, Troopers Doverspike and Mesing, of the Clarion-based State Police, were dispatched to a residence on Huckleberry Ridge Road for a report of a domestic incident. According to the complaint, Anthony allegedly reported that after they came home, they went to the store and then to Millcreek where they looked at some fishing places. Anthony said Ochs accused her of lying about something, and they began to argue. She stated they eventually got back into the truck and went home. Anthony went on to say that after they got home, Ochs “lost his cookies and started screaming at her.” She reported that Ochs “broke the passenger side visor in the truck, then came around the driver’s side and grabbed her by the hair.” Anthony said Ochs “then pulled her from the truck by her hair and punched her in the face,” according to the complaint. The complaint notes that Anthony had a small scratch to the right side of her nose. The complaint notes that Ochs had a bruise on his upper leg/groin area. Based on the investigation, both individuals were arraigned at 7:00 p.m. on Tuesday, October 16, in Magisterial District Judge Amy Long Turk’s office. They were lodged in the Clarion County Jail pending $5,000.00 monetary bail each. Ochs was released on a cash surety he posted himself on Wednesday, October 17. Anthony was released on a surety posted by a professional bondsman on Friday, October 19. Preliminary hearings are scheduled for 2:00 p.m. on Tuesday, October 23, with Magisterial District Judge Jeffrey C. Miller presiding.